Meet with Mike Margolies, Certified Mental Trainer®, Sport Psychology Consultant, Author and Professional Speaker on SKYPE. 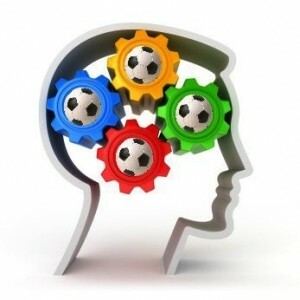 Did you know that I can help you with mental training via SKYPE? Advances in technology have enabled me to work with athletes all over the world via SKYPE. I can help you from the comfort of your own home saving you driving time during your hectic life schedules. Of course I love being able to meet people in person, but that is not always practical. So whether you live 15 miles away and don’t want to fight traffic or there is an ocean between us, I can help you to the next level of performance and beyond. Mental Game Training allows you to make the changes you want in your life. Use your emotional intelligence and so much more! help yourself perform at optimal levels. Learn the art of relaxation and how to use imagery to your advantage! We offer everybody an absolutely Free Initial Consultation – No strings attached – a $75+ value. Your Initial Consultation may be either over the phone, Skype, or in person. The same is true for your sport psychology training sessions. The Initial Consultation is to find out enough about you and what you want to individualise for your sessions to make them most effective. It also gives you the opportunity to find out more about us, how we work, and get your questions answered. Your Initial Consultation will probably take 30 minutes. After the Consultation you will be asked when you want to schedule your first session. All our sessions are by appointment only. Same day appointments are sometimes available, but it’s rare. As the session is the same whether you are here in person, using Skype, or on the phone, you can choose to come in person or have the convenience of an online experience. If you choose to have your sessions over the phone or Skype, we recommend you use over-the-ear headphones. Second best is a professional quality speaker phone or your computer speakers. When you call, please have your appointment book or calendar with you, so your appointment can be scheduled in and immediately written down. We will ask your name and basic identification and contact information for our records. Your name is so we can schedule your consultation. We routinely ask how you found out about us. Whether a friend referred you, you saw an ad, an article we wrote, or you found us on the web. You’ll probably be asked how you liked the website. Your address also lets us know what time zone you are in and whether we need to take this into account when scheduling. We also have a FREE newsletter we mail out quarterly. We are in Washington State, Pacific Time zone, The Office is in Issaquah, WA just outside Seattle. The East Coast is three hours ahead of us. London is 8 hours. Your phone number is so we can make reminder calls/texts. Your e-mail address is so we can e-mail you articles we’ve written, excerpts of chapters from books we are writing and information about upcoming classes and events. Many people also want e-mail confirmation of appointments. Those enrolling for a six-pack will receive a copy of my book, The Athlete within You, in either hard copy or electronic versions. Our standard rates are $150/hour. If you need help, ASK. We offer discounted package programs. A six Pack w/ an Emotional Intelligence Assessment is $750, payable prior to / or at the first appointment. This is a $1000 value. Sliding scale rates can be arranged for as needed. If you are a student athlete on your own, or are unemployed you qualify for an automatic 20% discount. Cash or check works fine in person and payment is required at time of appointment. We understand about traffic. It’s worse than it used to be, so you have to prepare and plan to be here 10 to 15 minutes early in order to just be on time. There will always be plenty of parking, so if you get here early, please feel free to sit in your car relaxing, reading, meditating, until your scheduled appointment time. At the appointment time you are, of course, invited to come inside, use the restroom, get a glass of cold water and then we’ll get started.